1) You need to log-in first. Click on the RC icon and enter the same email and password you used to register. 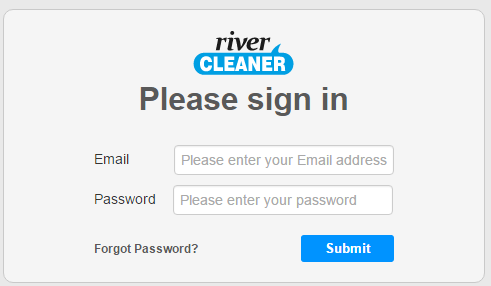 2) River Cleaner only works with Google Chrome. - Make sure you run the latest version. - Blockers may stop the extension to communicate with Amazon or our servers. 3) River Cleaner is only working with Child listings. 4) You have a new account that is not registered as a developer. Go to your permissions page and fill in the required fields in the form. Maybe we don't support your country yet. Let's make that happen!